The next morning, we three made our way to the Helmut Kohl building for a meeting with MEPs Seb Dance, John Howarth and Theresa Grifﬁn, along with several other MEPs‘ assistants. 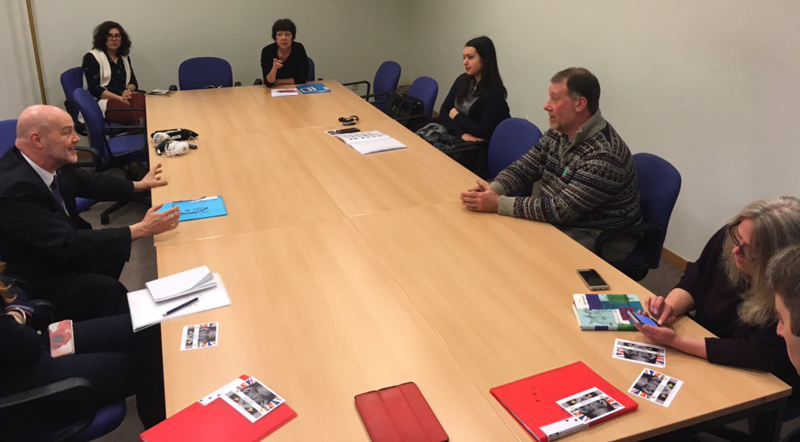 We were met by one of Seb Dance‘s Assistants, Alastair Ballantyne, and then led to a meeting room in the EU Commission building. The purpose of the meeting was to introduce ourselves, talk about what we are doing, and discuss where we could support each other. Our ‘Brexit is Personal’ approach was received MUCH better than we expected. 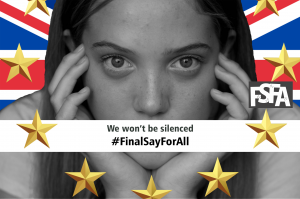 The meeting lasted for about an hour and we came away with a clear plan for our next campaign: writing to local papers, MPs, and other MEPs to send the personal stories of those of us affected by loss of rights due to Brexit. Personally, I was pleasantly surprised by the frankness and lack of politicking in the meeting, and felt that we had real support in the halls of the EU commission.